Martin Audio has again walked away with the Best Club Sound System (Design) category in the prestigious 26th International Dance Music Awards (IDMA), held during the Winter Music Conference at the Miami Beach Convention Center. The custom dance system installed at the Ministry of Sound in South London beat off nominations from top international venues, Beta in Denver, Cielo and Pacha in New York and Space in Ibiza. 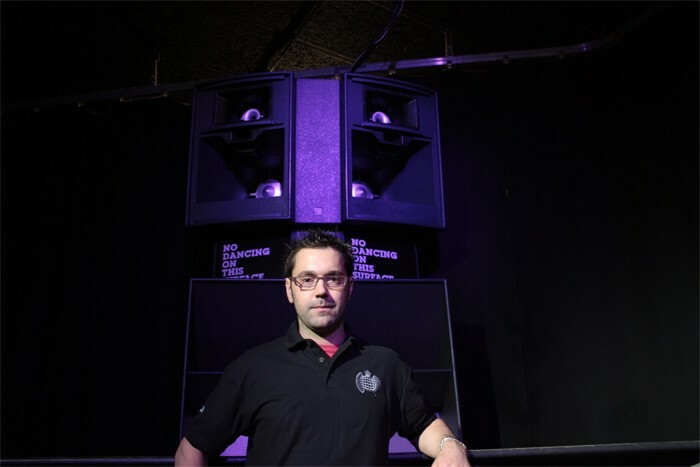 The Ministry of Sound has systematically converted to Martin Audio over a long period, capping this off last year with the completion of a bespoke club stack in its main room (the Box). The final piece in the jigsaw came in February 2010, when it became the first venue to adopt the manufacturer’s new ASX active sub. Hosting appearances by many of the world’s leading DJs, the legacy system dates back to the original Richard Long design for New York’s legendary Paradise Garage in the late '70s, later carried forward by GSA, who originally fitted out the MoS in 1991. First they commissioned a bespoke Martin Audio club stack at the beginning of 2008, featuring a custom AS118 bass and Wavefront W8C. And once the manufacturers had demonstrated a prototype of their new ASX sub, two years on, the system went into overdrive. Alex Barrand thought it sounded “incredible”. 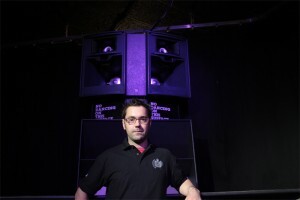 He proposed that two ASX subs form the base of each of the six stacks around the perimeter of the dancefloor, coupled with a custom flared horn. The flare not only met the MoS management brief that the design should retain the physical presence of the old stacks, but at the same time provided acoustic benefits. The 12 ASX subs succeed in driving the frequency range down to 30Hz — all connected to the new Martin Audio Control Manager software (which enables each ASX to be individually monitored and controlled). Alex Barrand believes that he has managed to create a new club sound blueprint — and evidently 12 months on, the IDMA judges felt the same. “It’s a great feeling to know that such an impressive system has again been recognised internationally,” he said. In picture: Alex Barrand, with one of the Martin Audio stacks.